Lowest Prices for the best rv and camper hitch from Buyers Products. 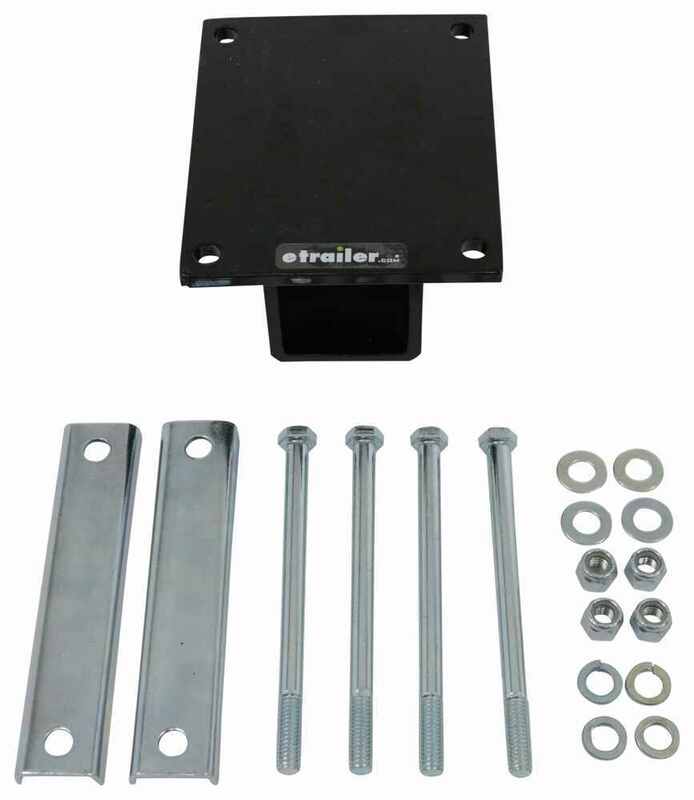 Buyers Products RV Bumper Receiver Hitch part number 337RVA24 can be ordered online at etrailer.com or call 800-298-8924 for expert service. 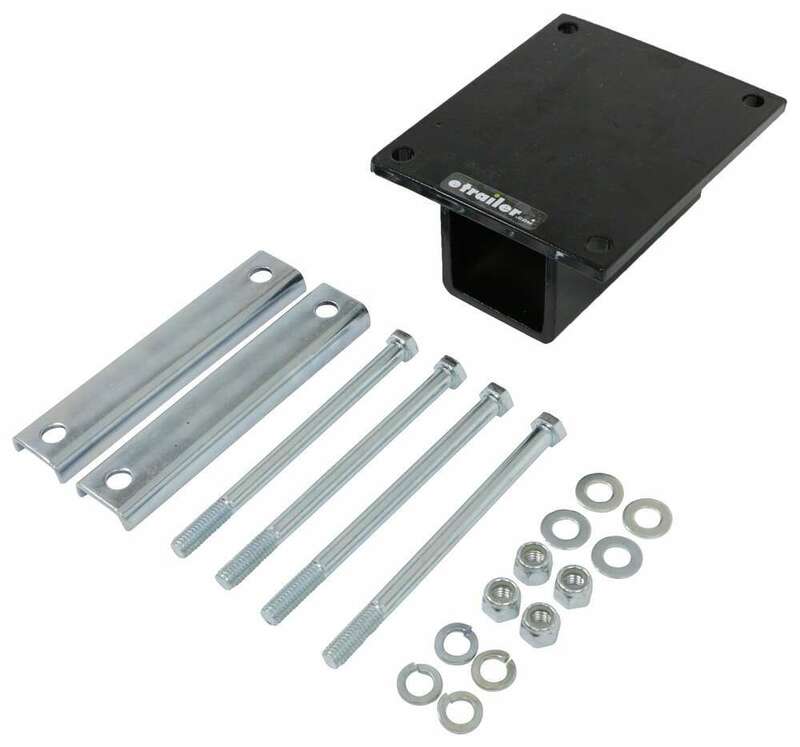 The RV Bumper Receiver Adapter from Buyers Products is ideal for adding a bike rack, cargo carrier, or other cargo accessory to the back of your RV. 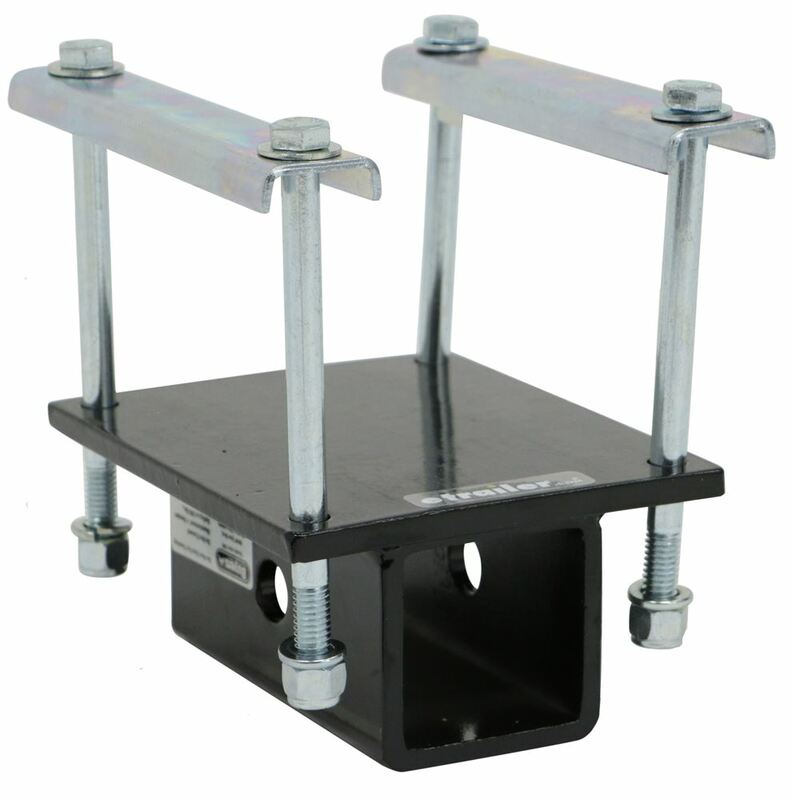 The adapter clamps onto a 4" or 4-1/2" square RV bumper and accepts 2" accessories. It includes durable zinc-plated hardware. Assembly required. Note: Not to be used for towing. Cannot be installed on decorative aluminum RV bumper covers. Speaker 1: Today we're taking a look at a RV Bumper Receiver Hitch. The RV Bumper Receiver Hitch is ideal for adding a bike rack, cargo carrier, or other cargo accessory to the back of your RV. This is not designed for towing applications. 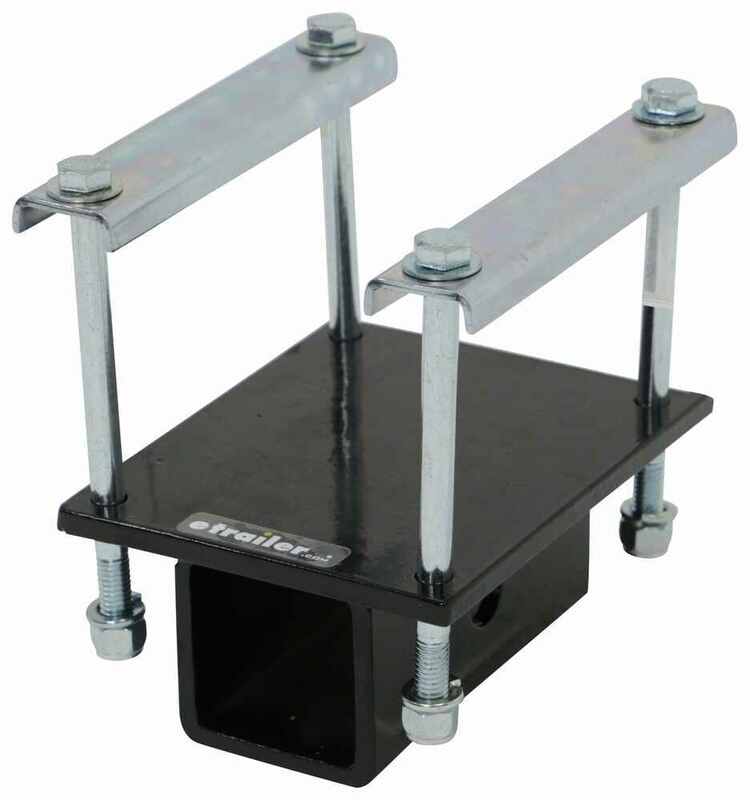 This adaptor clamps onto a four inch, or four and a half inch square RV bumper, and it accepts two inch by two inch hitch accessories.It can be mounted under or on top of your RV bumper, whatever works best for your application, and it includes durable zinc plated installation hardware. So these are your brackets. 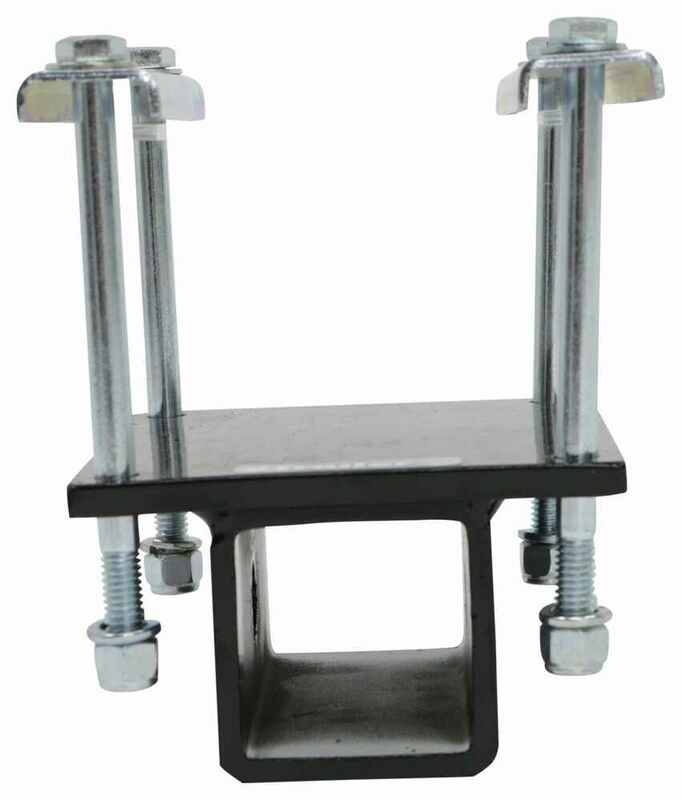 These are your bolts, and you have flat washers, split lock washers and nylon lock nuts to get this installed to your square RV bumper.Now the hitch itself is made from a durable carbon steel construction. It's a really nice design. It features a powder coated finish to resist rust and corrosion. A few measurements I want to go over with you real quick, starting with the overall length of the base. Edge to edge is about six inches. Overall width of the base is about five inches, and the overall height from bottom to top is about two and seven-eighths inches. The actual receiver tube measures about five inches long, and the hitch pin hole sits directly in the center, and this is designed to accept a standard five-eighth inch diameter hitch pin, or hitch lock. 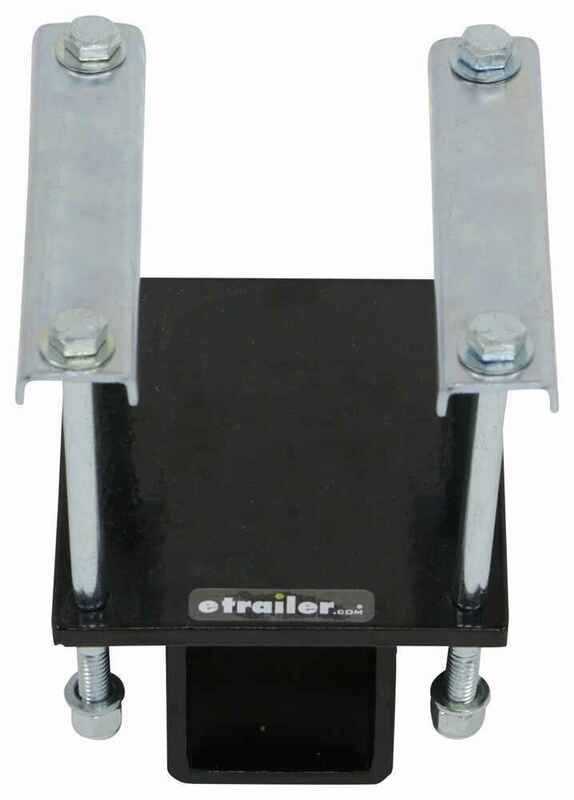 Those items are sold separately and available at etrailer.com.Now again, keep in mind this is a light duty hitch, and if you look at the sticker on the product, it says do not exceed manufacturer's bumper rating, or 200 pounds, whichever is less. So this does have a 200 pound capacity, but you also want to be sure not to exceed the manufacturer's bumper rating, and a limiting factor is whatever one, or whatever capacity is less. That's what you're limited by.That's going to do it for today's look at the RV Bumper Receiver Hitch. I went to the warehouse to measure and found that the bolt holes of the Buyers Products RV Bumper Receiver Hitch # 337RVA24 measured 3/8". This hitch fits a standard 4" or 4-1/2" square tube RV bumper and should only be used for accessories such as a bike rack or cargo carrier. We do have a solution for you although there is not a 1-1/4 inch bumper hitch for your camper. You can still use the 2 inch Buyers Products RV Bumper Receiver Hitch # 337RVA24 to carry your bike rack with a 1-1/4 inch shank; all you need is the Hitch Reducer 2" to 1-1/4" Trailer Hitch Receiver # HT02. I have added links to video reviews of both the hitch and adapter for you to take a look at.